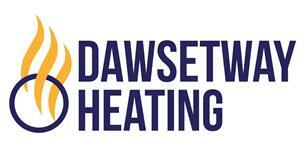 Dawsetway Heating and Renewables Ltd - Central Heating Engineer based in West Kingsdown, Kent. Dawsetway have been installing central heating boilers for over 30 years and can advise you on the best solution to suit your home or business. Our engineers are Gas Safe registered professionals who take pride in their work, they will respect your home leaving it clean and tidy. Offering free impartial advice on the best type of heating system for your home with a full design and installation service. We have a wealth of experience to assist with all stages of the works including planning, assistance and guidance through to completion. Dawsetway are also able to assist you with any electrical works, Solar Hot water and PV systems and even general maintenance and carpentry so whatever your needs just call us for a friendly professional service. Heating, Whatever your needs simply call us, we are Gas safe registered professionals, Dawsetway are specialists in all types of domestic heating, We inspect, service, repair and install most types of boilers. Carpentry, Our skilled staff are able to assist with any maintenance or carpentry items that you may require assistance with.